Stay up to date on our construction process with photos and videos of our progress. 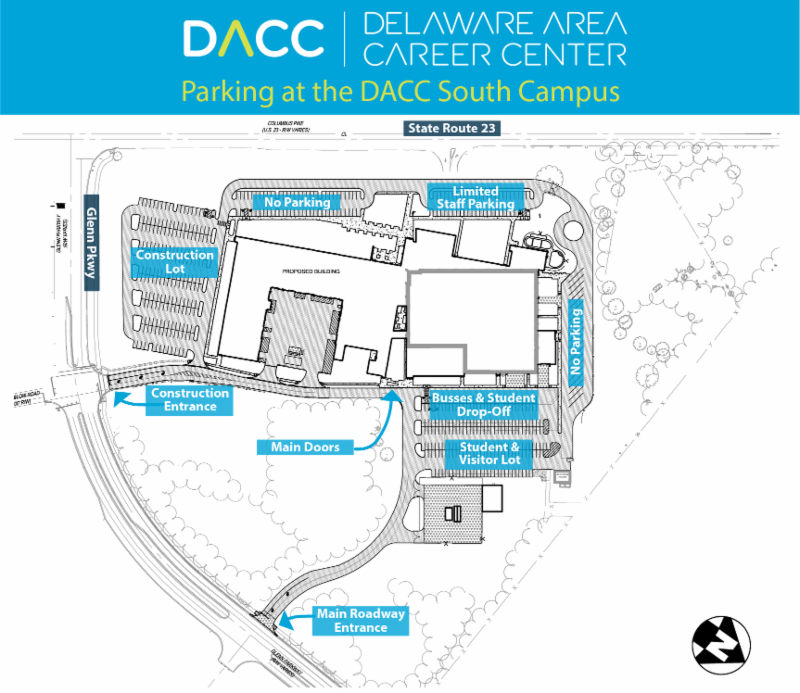 Due to construction, traffic patterns at DACC's south campus have changed. Please reference the driving directions and parking maps below. Beginning Monday, November 27th, traffic patterns to enter and exit DACC’s south campus will change. The entrance at the intersection of Glenn Parkway and Peachblow Road will be closed except to construction and emergency vehicles. Please use the DACC entrance off of Glenn Parkway. Turn onto OhioHealth Boulevard from State Route 23. Follow the roundabout to Glenn Parkway. Take the first exit to go south. Turn right into the DACC entrance. Turn onto Glenn Parkway from State Route 23. Turn left at the Peachblow Road intersection. Turn left into the new DACC main entrance.